It seems impossible that a hunter could mistake a person for an animal, but mistaken-for-game hunting accidents are an ongoing problem that hunter-training and high-visibility orange alone cannot entirely prevent. Many mistaken for game accidents involve respected, experienced hunters who 100% believed they had correctly identified their target before firing. Many people assume mistaken for game hunting accidents are caused by inexperienced or careless hunters taking pot-shots at sound or movement. But in reality, this is rarely the case and mistaken-for-game hunting accidents can happen to even the most experienced hunter. 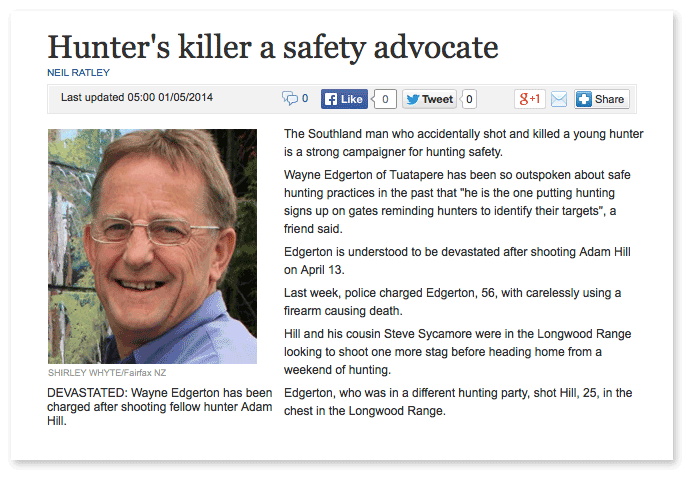 80% of victims are shot by the person they’re hunting with. 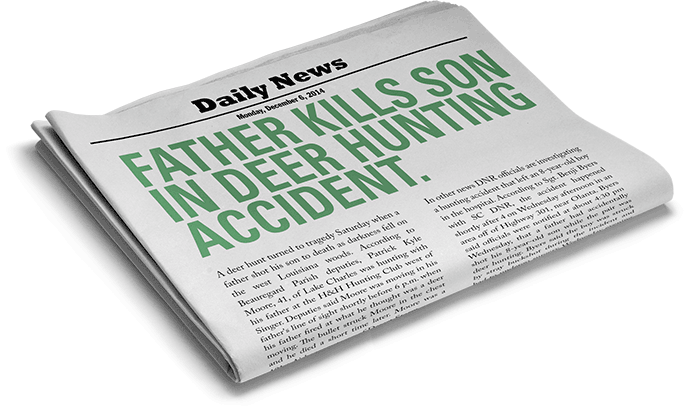 Most mistaken-for-game accidents are caused by experienced hunters. The typical accident distance is about 35 metres. Some victims are wearing hunter orange. No-one thinks it would happen to them. Hunter education, training, and high-vis orange play a vital role in hunter safety and have resulted in a steady rate of improvement in accident statistics. However, in the past decade, the statistics have plateaued, reflecting the limitations these measures alone have in preventing all accidents. This gap between the ideal world where everyone gets home safety, and the real world is families living without loved ones, and some hunters living with a lifetime of guilt. 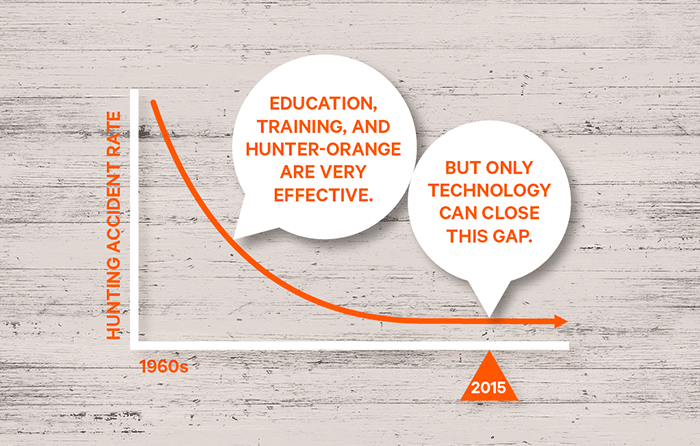 We designed IRIS technology to help close the gap. 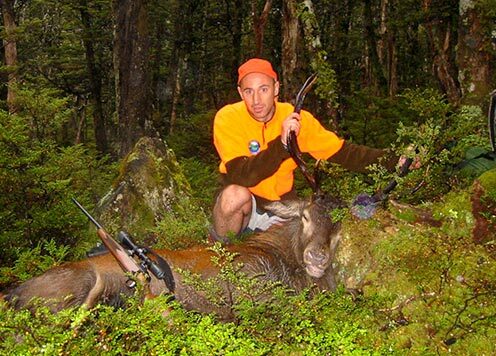 The most common mistaken-for-game hunting accident scenario involves an experienced hunter shooting the person they are hunting with at a distance of about 35 metres (40 yards) in broad daylight. Afterwards the hunter simply can’t explain how they made such a basic mistake. “I never thought it would happen to me, I always thought I made sure of the target. And that’s what worries me. In my mind that was a deer looking at me. Every day I think about it and I still can’t see anything different. There was not even a thought that it wasn’t or I wouldn’t have pulled the trigger.” Dave Alker—Long-time hunter who shot his best friend. “You have probably heard of my accident recently where I shot and killed my friend. Since then I have lain awake at night thinking about a prevention for the future. I considered myself a safe hunter and have let deer walk away before because I couldn’t see enough of the animal. This time I checked and double checked and still saw a deer that was my best friend. Since the accident I have received numerous cards from hunters who have done the same thing or have almost done it. What this tells me is that, even in a calm state, the mind can create images of deer that aren’t there and therefore can’t be relied on. I consider technology to be the way forward. I still realise the importance of hunters identifying their target regardless of what technology is around but I thought I had done that beyond doubt – and hadn’t. The mistake I made was just a thousand times easier to make than I figured.” Henry Worsp—Outdoor Safety Professional, Paramedic, hunter for 17 years. Although we strongly recommend hunters wear clothing that contrasts with the environment, be aware that hunter-orange, and other high-vis colours don’t prevent many accidents. 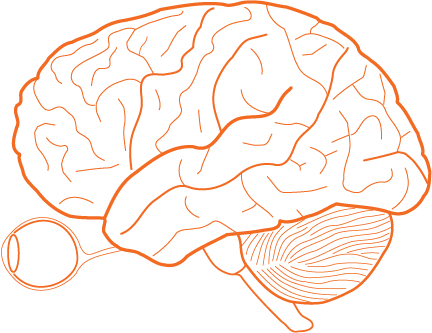 Once again, it’s due to the unconscious ability of the hunter’s mind to filter and disregard information –such as hunter orange– if it doesn’t support what it thinks it’s seeing. Other factors that reduce the effectiveness of hunter-orange are UV fading, dirt, lighting conditions, and colour blindness. IHEA accident data from the US in 1999,2000,2001 (subsequent records do not list whether orange was worn) indicate that roughly half of victims of non-self-inflicted hunting accidents were wearing blaze orange when they were mistakenly shot. Staying safe and ensuring everyone gets home to family and friends is the number one priority when hunting. Do everything you can to minimise the risk of an accident happening to you or someone you know. Follow the golden rules of firearm safety. Wear bright clothing that contrasts with the environment. Beware that simply being safety-conscious and careful won’t prevent all mistakes. Always use IRIS technology to help reduce the risk of an accident.